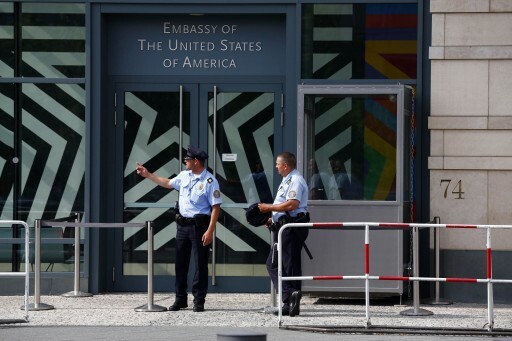 Washington - A German defense official under investigation for alleged spying was in contact with a U.S. State Department officer rather than American intelligence agencies, raising questions about whether any espionage occurred, U.S. officials familiar with the case told Reuters. If that is borne out by the on-going German investigation, it could help cool a crisis in U.S.-German security cooperation that has seen two Germans probed for spying for Washington and Germany’s expulsion of the top U.S. intelligence official in Berlin. At the least, the investigation involving the German defense official appears murkier than the other, separate incident, which came earlier. In that case, an employee of Germany’s foreign intelligence agency, known as the BND, was arrested on suspicion of spying for the CIA and possibly Russia. Reuters is withholding the individual’s name from publication. The administration of President Barack Obama hopes the German investigation will prove unproductive and will be closed without any arrest, two officials said. However, Germany’s probe is continuing. U.S. agencies have also refused public comment on the BND employee’s case. However, U.S. government officials privately acknowledged that the BND employee had been in contact with the CIA and that the agency believed it had obtained valuable information from him. Germans were particularly angered by the disclosure, based on documents provided by Snowden, that Merkel’s cellphone was on an NSA list of eavesdropping targets. Well, the Germans probably will not go for life. They simply have a gentler penal system. (I bet they have nicer jails too.) But these guys will be harshly handled. No country likes one of their own becoming a turncoat.